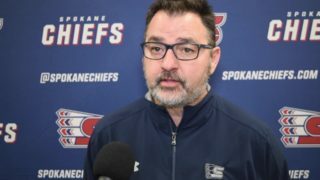 The Spokane Chiefs will select their future stars on Thursday morning as all 22 WHL teams will participate in the 2017 WHL Bantam Draft, beginning at 8:30 a.m. MT/7:30 a.m. PT in Calgary. Spokane holds the sixth overall pick in the draft, marking just the 14th top-10 pick in franchise history. Fans can watch the first round of the draft online at whl.ca. 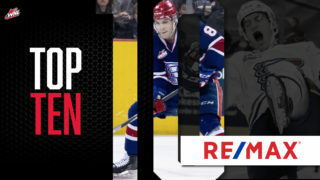 Real-time updates of the entire draft will also be available here at spokanechiefs.com as the draft progresses. 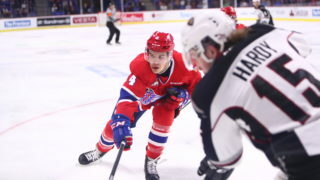 Fans can also follow the WHL (@TheWHL on Twitter) and the Chiefs (@spokanechiefs) on social media for up-to-date results. *The WHL Bantam Draft continues indefinitely until all 22 member clubs choose to “pass” on their available selection. The Chiefs have not chosen past the 11th round in the last 12 drafts. Q: What would you say are your top priorities when evaluating players for the draft? CM: The key things for us are compete, skating and hockey sense. Those are the major ones. We always evaluate each player as a whole, including lots of other intangibles, but those stand out. Q: How does this year’s draft compare to others? Any differences? CM: It should be a good draft. 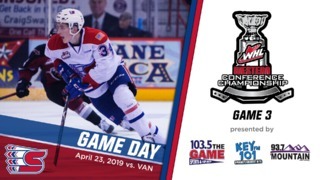 One different thing this year is there are a few more players than usual who are not yet committed to the WHL, so we’ve just had to work with families and agents to weed through that. Q: Has the draft process changed for you and your scouting staff with a new general manager in Scott (Carter) being involved for the first time? CM: Not really. Scott has let us go through our process and do our thing. He’s been a really good voice with another angle and another perspective as we get through it all, but we both really value the work our scouts have done. We’re ready and excited. Players eligible for the 2017 WHL Bantam Draft include 2002-born players who reside in the following provinces or states: Alberta, British Columbia, Manitoba, Saskatchewan, Northwest Territories, Yukon, Alaska, Arizona, California, Hawaii, Idaho, Kansas, Minnesota, Montana, Nebraska, Nevada, New Mexico, North Dakota, Oklahoma, Oregon, South Dakota, Texas, Utah, Washington, and Wyoming. 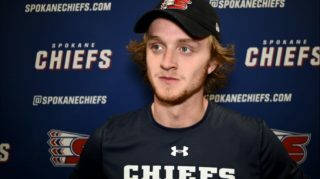 These players have just finished their “hockey age” 14-year-old year, meaning they are not eligible to join the Chiefs until 2018-19, during their “16-year-old year”. 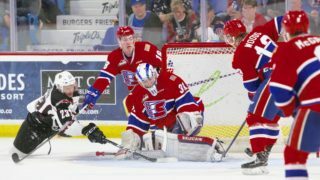 For example, Spokane’s 2016-17 rookie defensemen Ty Smith and Matt Leduc were selected in the 2015 WHL Bantam Draft (1st and 31st, respectively). More details on the bantam draft process is available on the WHL website — click here.